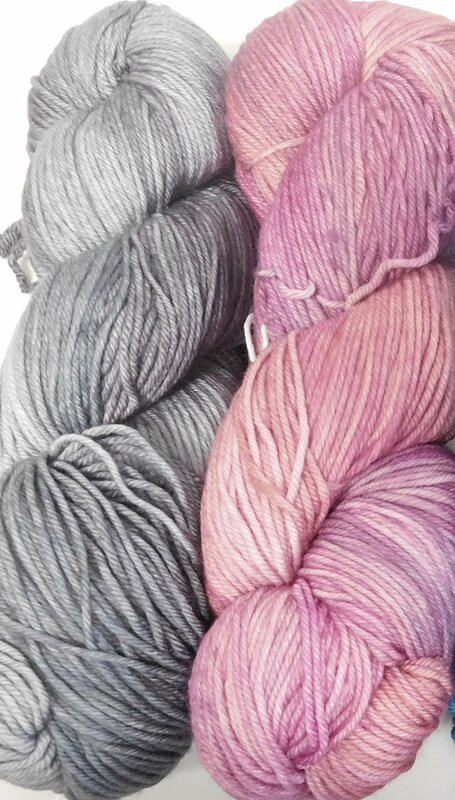 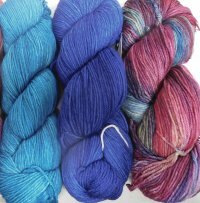 This 100% merino wool yarn is machine washable. 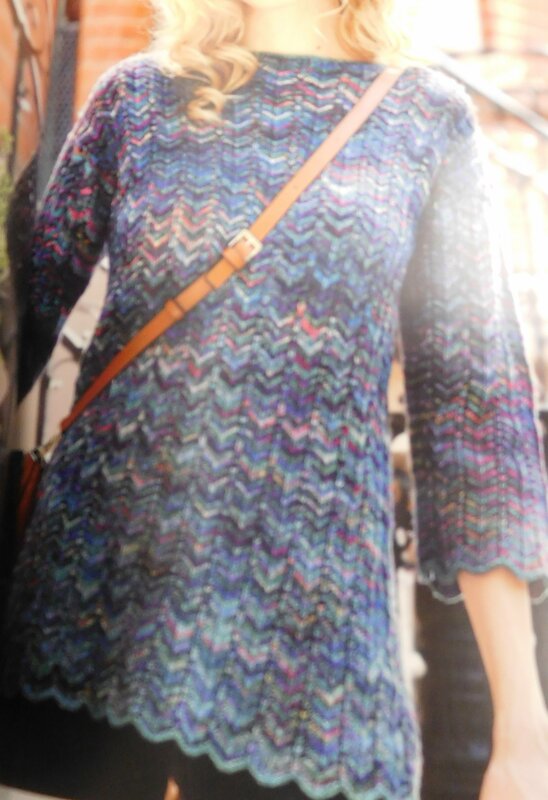 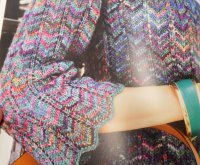 It knits between 5 and 5.5 sts/inch on a 4-6 needle. 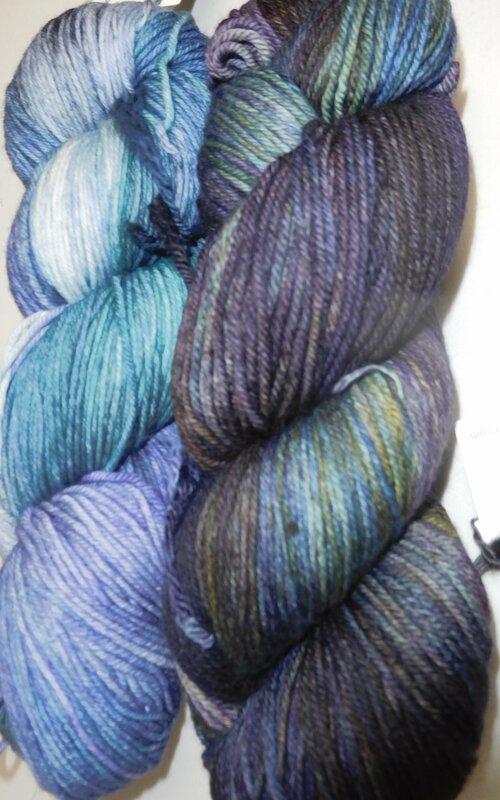 Featuring the lovely Malabrigo colors but in a plied yarn that will wear well and not pill (in case you experienced the worsted Malabrigo and were disappointed in how it pilled so quickly). 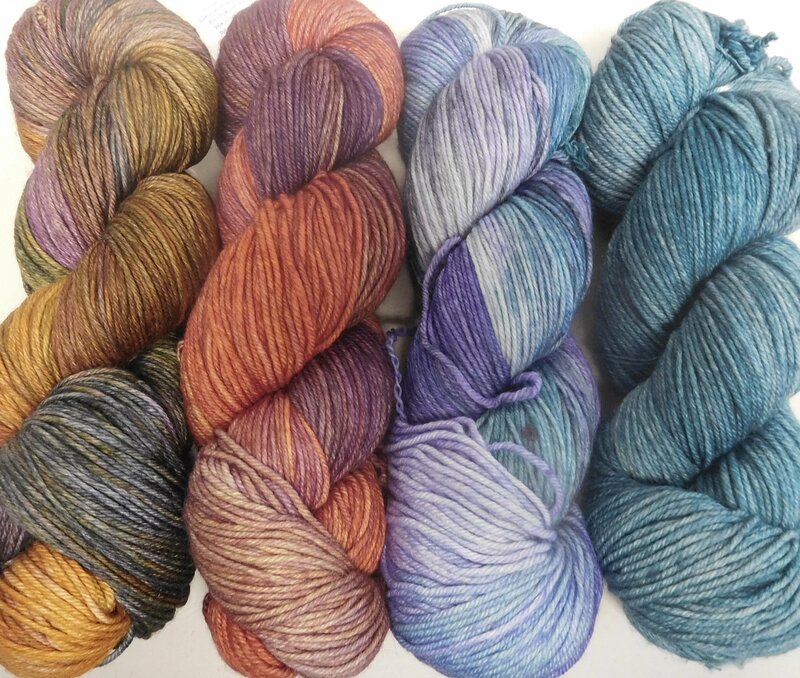 Twelve gorgeous colors to pick from. The slouch hat pattern is free with the yarn purchase and took just a hair over 1/2 skein....so you could make a mother/daughter set with 1 skein. 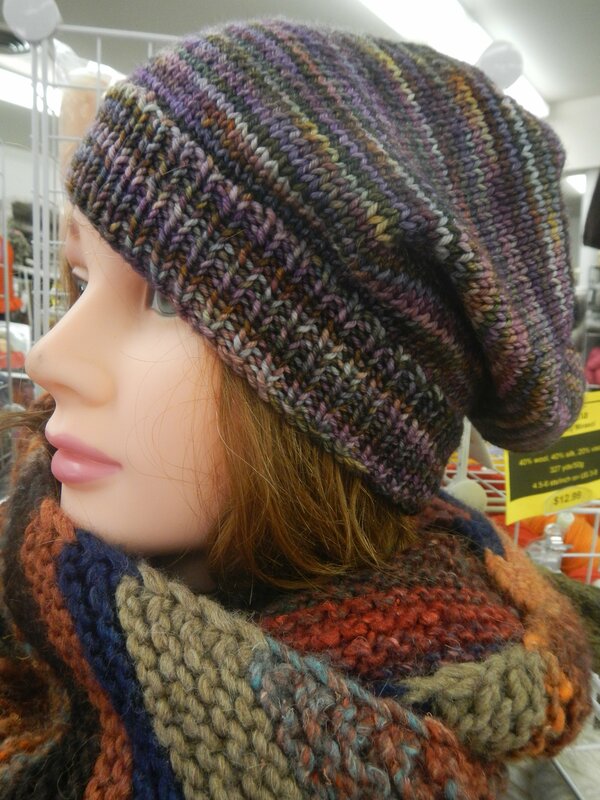 Or make this slouch hat and a set of wristwarmers, perhaps. 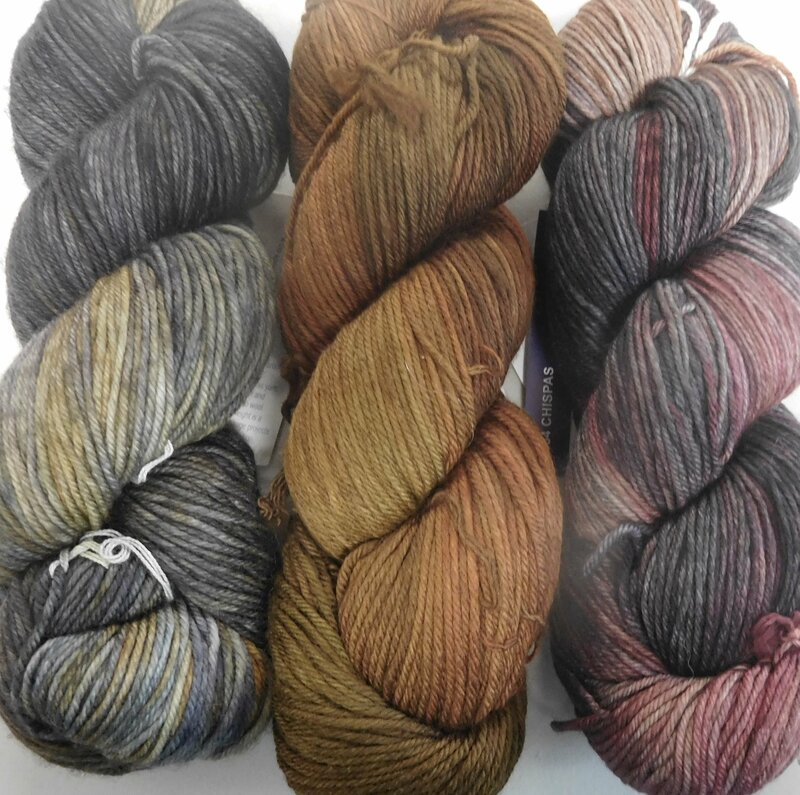 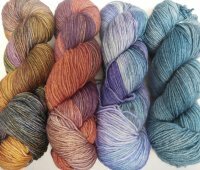 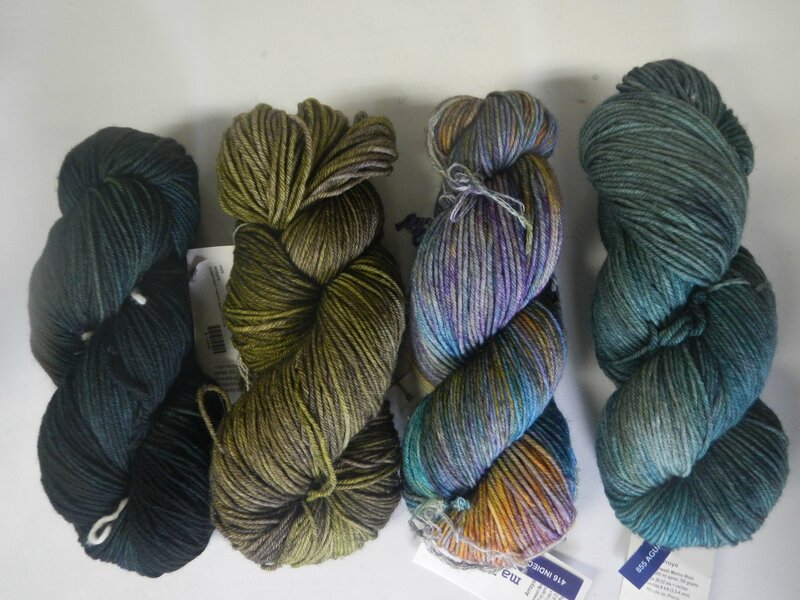 We also stock the Rios worsted, Mecha bulky, Rasta chunky , Mechita and sock weights which you can access thru the "Other Malabrigo Yarns" link above.